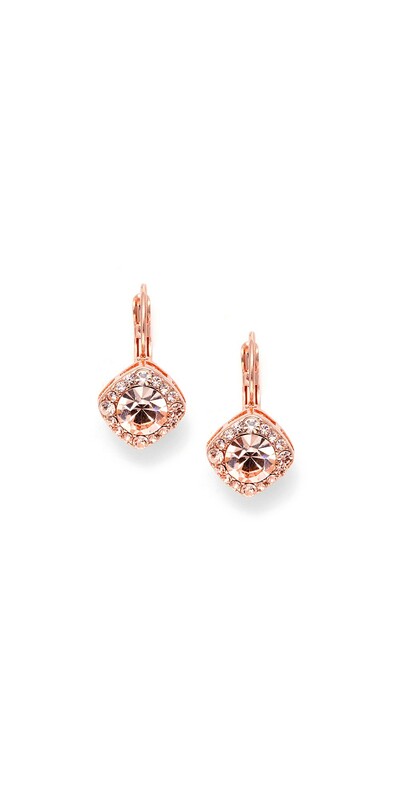 A beautiful pair of 1920s inspired earrings plated in Rose Gold with lovely crystals in peach champagne which is a top selling accessory perfect for any bride. 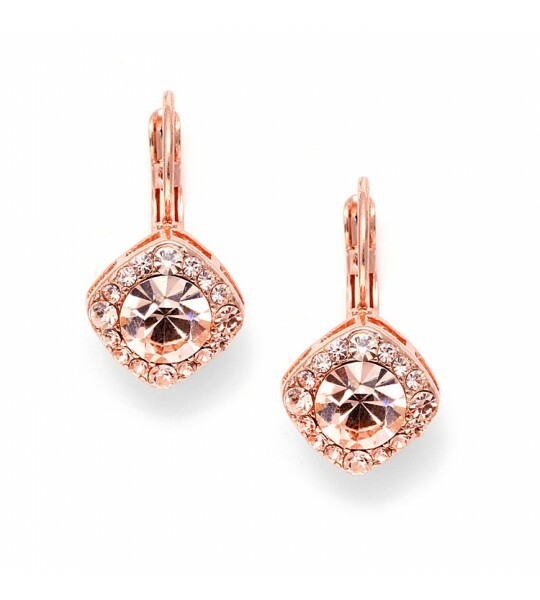 Choose these beautiful sparkling 1920s inspired Rose Gold earrings with peach coral crystals solitaire to create a special look for your event. 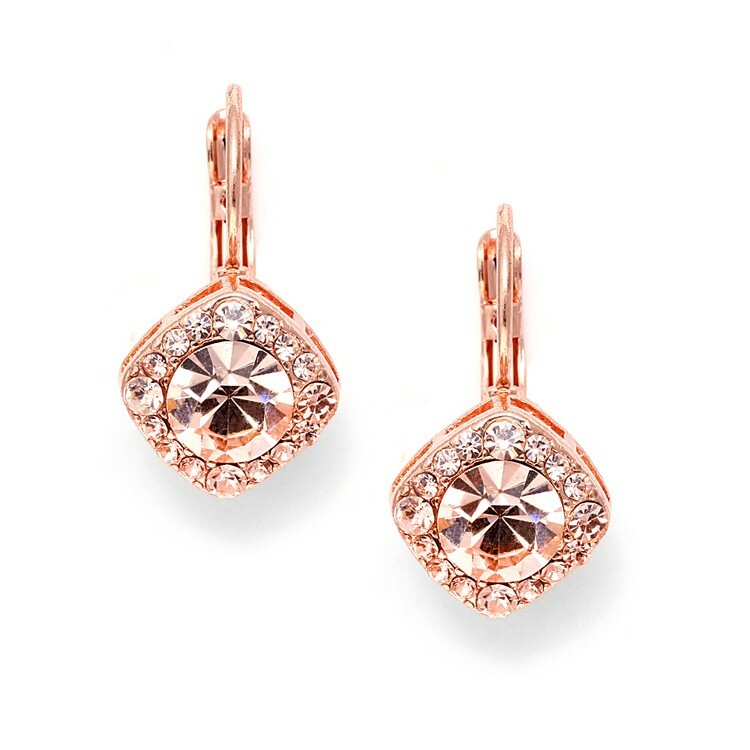 Available in a variety of colors, these Romantic vintage inspired earrings are a must have for any bride, bridesmaid or second time around bride.